Checking global warming and preventing some of the worst-case scenarios of runaway climate change “is still possible,” the United Nations Secretary-General said on 13 October 2018, urging greater action and ambitions. 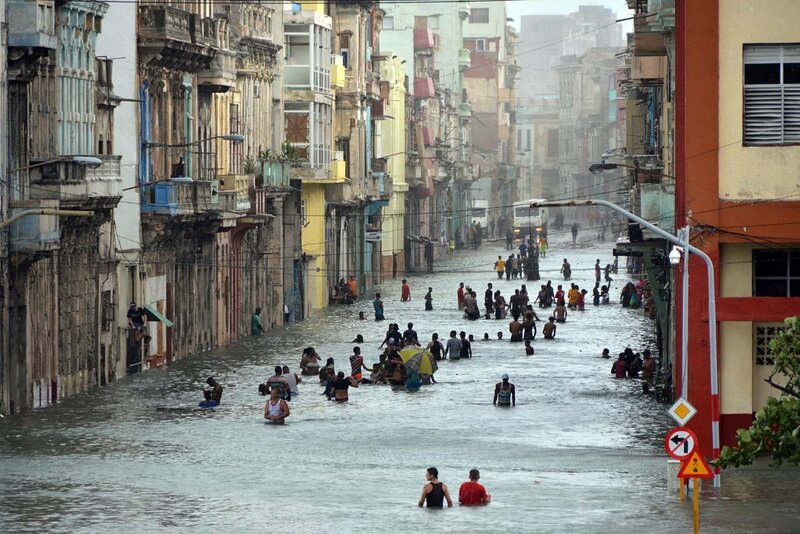 OCHA EFE/Rolando Pujol | Wide shot of Havana, Cuba, in the aftermath of Hurricane Irma, which wrought terrible destruction across the Caribbean in 2017. “Limiting temperature rise to 1.5 degrees will requirerapid, far-reaching and unprecedented changes in all aspects of society – especially how we manage land, energy, industry, buildings, transport and cities,” UN Secretary-General António Guterres, at a ministerial meeting on climate finance, in Bali, Indonesia. In his remarks, the UN chief made a particular call for “climate friendly” investments, particularly in the infrastructure sector, where over $90 trillion in investments is expected by 2030. “The next few years are critical [and] your leadership is needed,” Guterres told the ministers. Highlighting enormous economic losses to climate-related disasters and projections that by 2050, climate change could reduce annual GDP in some South and Southeast Asian countries by up to 4 per cent, the Secretary-General underscored that climate risk cannot be ignored. “We need a new economic framework that integrates climate and disaster risk in all aspects of finance, planning and budgeting,” he said. Alongside, effective economic policy and fiscal instruments are also needed, he continued, urging a “meaningful price” on carbon and an end to fossil fuel subsidies to promote low-carbon and climate-resilient growth. He also called for “fundamental shifts” in climate financing, including government policies that can increase resources available for climate action. “Governments need to encourage their banks to support green financing and innovative financial instruments – such as green bonds – and debt instruments that can strengthen the resilience of vulnerable nations,” said the UN chief, calling also for the mobilization of private sector financing. In his remarks, he also called on countries to make full use of the upcoming Conference of the Parties to the UN Framework Convention on Climate Change (COP-24), to be held in Katowice, Poland, and to come out of the meeting with a robust framework that allows countries to operationalize and implement the Paris Agreement on Climate Change. “I count on all leaders to call on their negotiators to resolve all sticking points and insist on progress,” he said. (SOURCE: UN).